Clear Creek Sub. 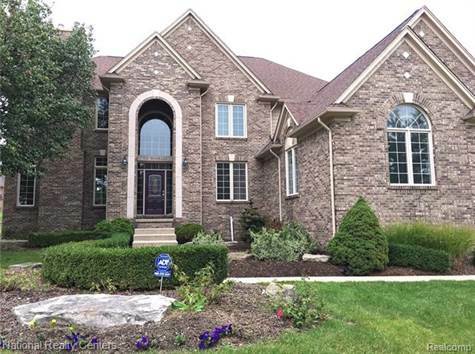 Beautiful upgraded brick and stone Executive 4 bedroom 3.2 bath Colonial with upgraded entryway, brick paver terrace finished basement and 3 car garage with 8' doors within walking distance to schools. Recent updated features, the entire interior of the home (walls, doors, windows and trim) have been painted, windows replaced, new window coverings added, new hardwood floors installed and landscaping updated within the last year. The 2nd floor Bridge overlooks the 2 story family room with floor to ceiling windows overlooking the back yard. 2 stairways to the 2nd floor, elevated master bedroom with gorgeous master bath. The finished basement has an incredible wet bar with a fridge and dishwasher. "Dual furnaces", work shop and storage everywhere. Priced to sell quick! !